If you are an educator, business executive, entrepreneur, or other individual fascinated by how various aspects of technology and innovation are coming together to change today's world, then you will no doubt want to attend the Synapse Summit in Tampa on January 23-24. Along with seeing plenty of incredible demonstrations from various exhibitors, you will also have the opportunity to hear speeches from many of the world's most dynamic individuals in technology, business, education, and other areas. And best of all, there will also be plenty of opportunities to have interactions with these speakers through panels, workshops, and other activities. If you are ready to learn how the most innovative minds of today expect technology to be used in the years ahead, here is additional information on some of the speakers who will be in attendance. As the Chief Product Officer at consumer electronics company Magic Leap, Omar Khan is recognized around the world for his ability to spot new technology and consumer trends. Educated at MIT, he is well-known as a leader who engages well with others, listens to ideas, and is able to consistently attract top talent to his company. Founder and CEO of internet company Honeyfund.com Inc., Sara Margulis continues to set the bar quite high for female business executives. Known for her savvy business sense and ability to get the most out of people, Sara is a dynamic speaker who understands what it takes to initially motivate others, and keep them motivated from start to finish. If you are a Tampa Bay Bucs fan, you'll remember the name Vincent Jackson. As a star receiver, he made plenty of big plays in crucial situations. And after his playing days ended, he continued using the skills he learned in pro football to become one of Florida's most successful businessmen. As the co-founder of CTV Capital, Vincent has become an entrepreneur who is focused on nationwide commercial and residential real estate development. But along with this, his business background also includes many other successful ventures, ranging from restaurants to fitness studios. If you want to know not only how to transition from one career to another, but also the basic principles needed for business success, don't miss your chance to meet Vincent Jackson to learn about the latest business news in Tampa. In addition to the many speakers listed above, a variety of other educators, entrepreneurs, business executives, and many others will be attending the Synapse Summit in Tampa on January 23-24. Among these will be Arnie Bellini, CEO of ConnectWise, Ian Anderson, Publisher of the Tampa Bay Business Journal, and Jeff Vinik, Chairman, and Governor of the NHL's Tampa Bay Lightning. These executives, along with many others, will be participating in a variety of interesting panel discussions, workshops, and other activities aimed at not only sharing their expertise with attendees but also helping to foster how new ideas can be used in today's ever-changing workplace. By doing so, it is expected participants in these discussions will come away with a variety of new ideas that can be used in creative and innovative ways. 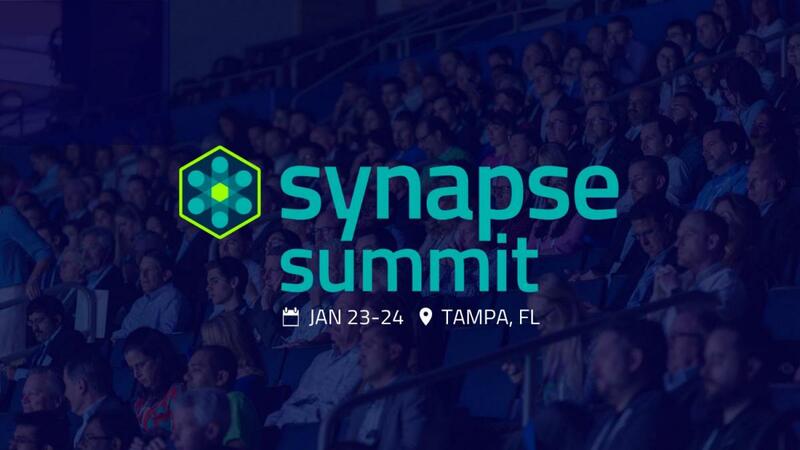 With more than 300 speakers expected to attend the Synapse Summit in Tampa on January 23-24, there will no doubt be something for everyone. Whether you want new ideas for your classroom or the boardroom, you are sure to come away with not only many new ideas, but also a renewed sense of enthusiasm and optimism for how technology can positively impact today's world. Find more business news in Tampa, register on 813area, your free guide to everything in Tampa!